Laura Geller Line 'n' Define Eyeliner. 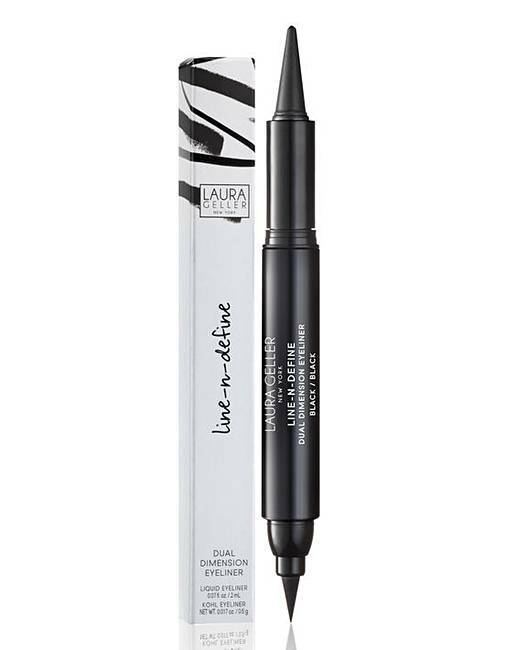 Two versatile eyeliner tips meet in one fabulous tool. The fine-point felt tip liquid liner makes it easy to perfect your sharpest eye look, while the kohl liner provides a soft stroke of colour. Paraben-free. Mineral Oil-free. Formulas are suitable for sensitive eyes/contact lens wearers. Line and contour inner and outer rims with the cream kohl for a subtle daytime look. 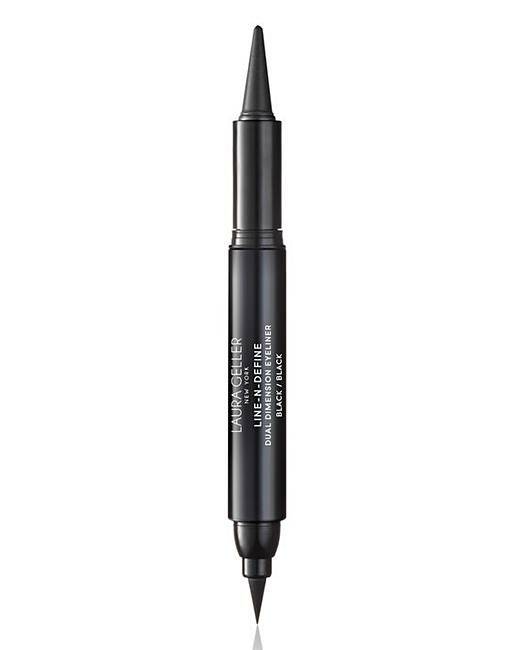 Amp up your eye make-up for night-time by drawing a dramatic, crisp cat eye with the liquid marker side.